Trump says federal employees want the wall. Some say they just want their paid jobs back. 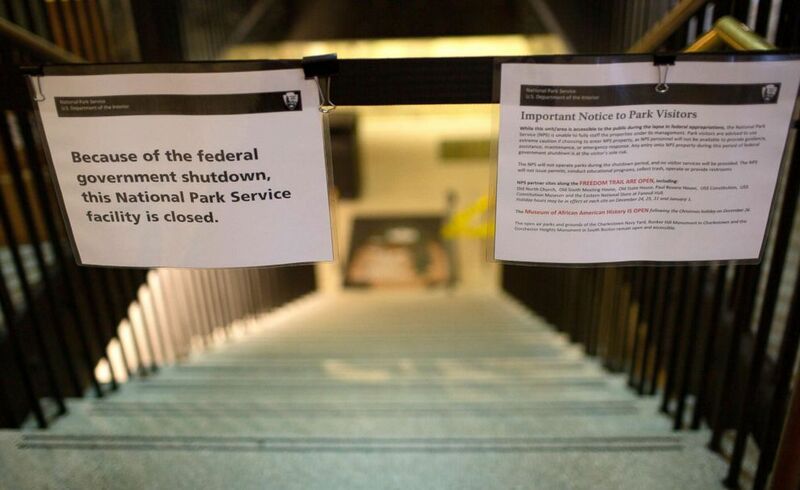 Federal employees waiting out the shutdown weigh in on the politics. The president doesn’t know when the government is going to re-open, but he said he’s confident that the federal workers -- over 400,000 of whom have their paychecks and vacation days caught up in the political scrum -- support his efforts to hold out for border wall funding. "Many of those workers have said to me and communicated, stay out until you get the funding for the wall," he said on Christmas, the fourth day of the partial government shutdown that’s centered around Trump’s request for more than $5 billion for a wall along the U.S.-Mexico border. 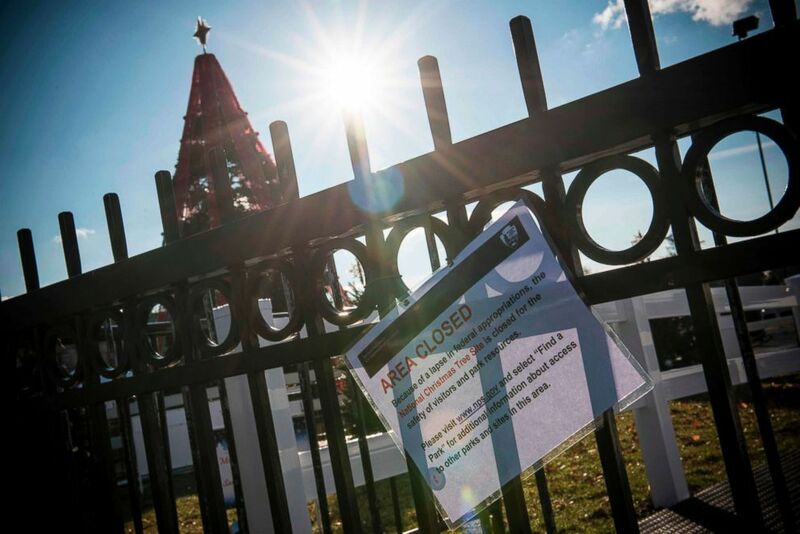 (Eric Baradat/AFP/Getty Images) The area next to the National Christmas Tree is closed in Washington on Dec. 24, 2018. “I mean border security is great, but basically, that feels like extortion when he is holding our jobs hostage for this shutdown,” said Raekwon Snyder, a government contractor for the U.S. Food and Drug Administration (FDA) who lives in Baltimore, Maryland, with his girlfriend and their 8-month-old son. "That's basically what he's doing. Nobody's going to work until I get funding for my wall, for my ridiculous metal-spiked wall." Snyder works at a bar on the weekends and said he applied to drive for Uber the day after the shutdown -- all part of his plan to be able to have enough to prioritize his family if the shutdown persists further into the new year. “I got to make sure I keep a roof over their head and food in the fridge," Snyder said in an interview with ABC News on Tuesday night. "Basically, got to act like nothing's going on." I mean border security is great, but that feels like extortion when he is holding our jobs hostage for this shutdown. Barrett was planning to take off for the week, but he said it’s his understanding that, as an essential employee, he has to report to work -- even though when he forfeits his annual leave, he won’t get that vacation time back. And on the funding for a border wall -- the sticking point that’s put Democrats at odds with the president and halted in the federal government? Leave it up to the experts, Barrett said. (CJ Gunther/EPA via Shutterstock) A sign announces the closure of the U.S. Parks Department Information Booth and Visitor Center because of the federal government shutdown, at Faneuil Hall in Boston, Dec. 24, 2018. ABC News' Kendall Karson and Anne Flaherty contributed to this report.